I know. I've got too many projects on the needles. I know it, and yet here I am with another finished knit I really hadn't planned to knit just now. 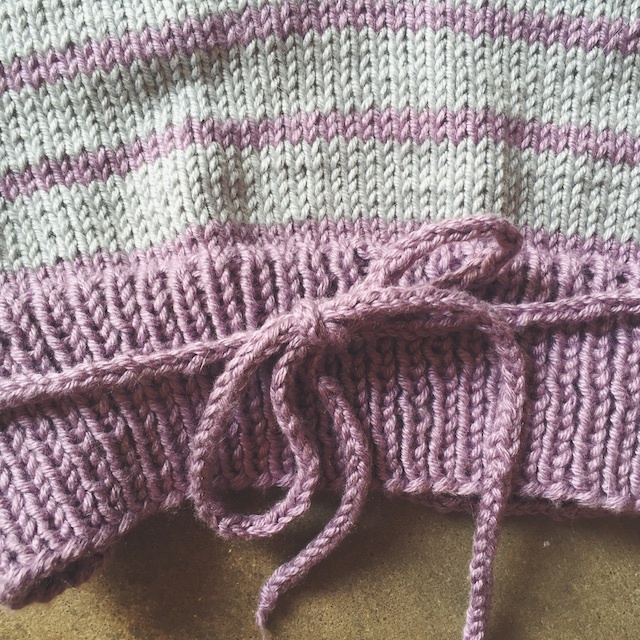 Did you have any clue that I'd be knitting a Leeds Halter Top for Fall? Neither did I, but it gives me a great sense of accomplishment anyway! Leeds is a fun knit. When I was less endowed I would have worn this to get some sun on a Sunday afternoon on the patio. As it is, I'm still feeling the effects of a hormone treatment I started 6 months ago that puffed me up. Some women would love that side effect, but me... not so much. I was used to my boyish frame. And 3 months wasn't a lot of time to adjust to this new, very hormonal, one. 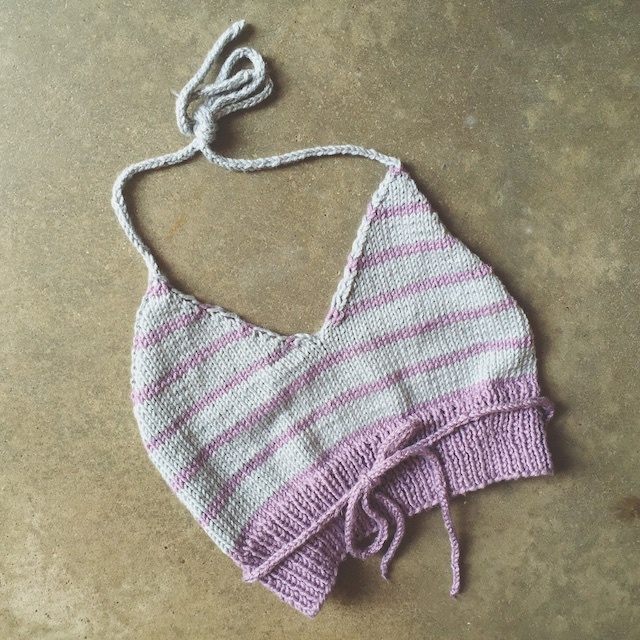 Hopefully, I'll get back to normal soon but, just in case, I've got some ideas for how to make the Stratford Halter Crop Top, also by Tara-Lynn Morrison, in a more supportive warm weather yarn. I'm wondering if holding a thin piece of elastic with the cotton to knit the ribbing and ties would make it a bit more like a wool version. I have some Rowan All Season's cotton and elastic from a failed knit bikini (don't ask) and it might be fun to try. Anyway, this one does fit, but I'm too shy to do that kind of FO shot. It's knit in Valley Yarns Goshen. I made one modification: I knit the tab for each back strap about 1.5 inches before decreasing, then made my i-cord ties long enough to wrap around and tie in front. This allows for sun bathing in the lounger without knots poking me in the back. Sunbathing means flopping the lawn chair in the middle of my weedy garden where the neighbors can't me reading or sleeping in my swimsuit. It involves copious amounts of sweat and mosquito spray. It's October, but that is still completely doable here.